The Créations Estelle Clareton company fulfills a big cultural mediation project in winter-spring of 2018, imagined from Taking off, a key work of the choreographer's repertoire. Done in 2010 with 12 professionnal dancers, the original show had great success, also touring until 2015 in Quebec province and in Canada, not forgetting Mexico and Europe. 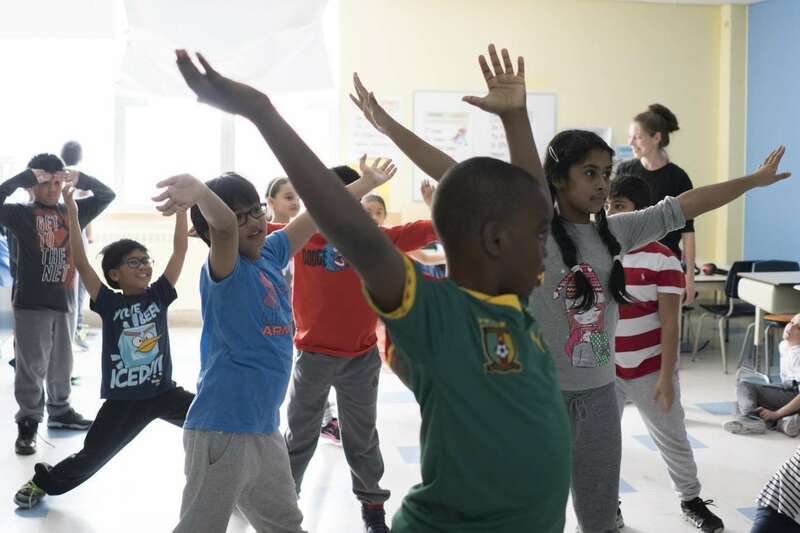 Therefore, between January and May of 2018, four kids groups from elementary school (8 to 11 years old), from three Montreal neighbourhoods learned the adapted choreographic work, using an approach promoting and needing both commitment and trust. 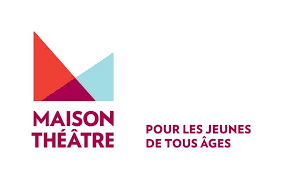 Each group will have the opportunity to present their section learned over the weeks at a their neighbourhood's theatre Maison de la culture. 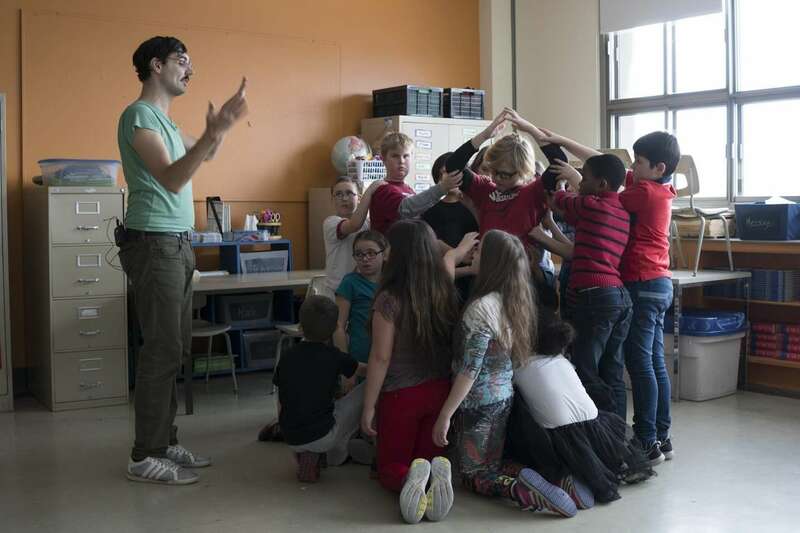 They will then all meet to develop transitions, to piece together to whole work, to present it to the audience in the Plateau at Maison Theatre, Tuesday May 8, 2018 at 1 PM. 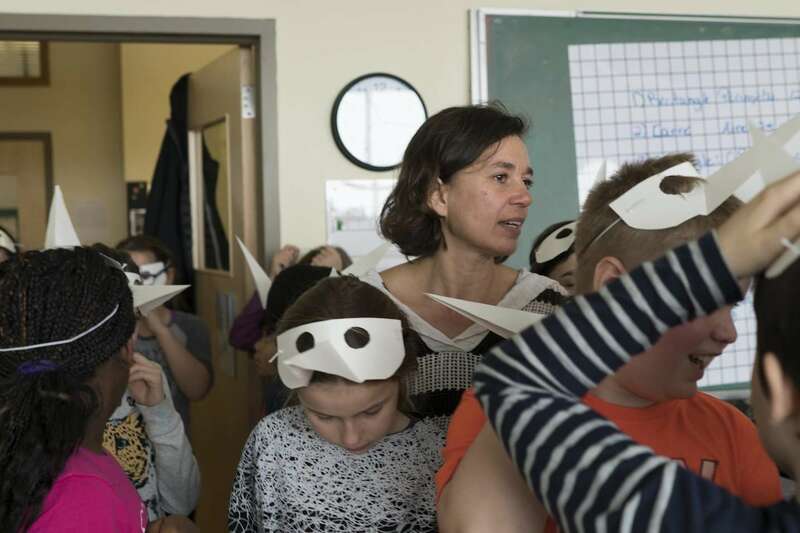 The learning process of the work and preparation to the shows was filmed by Jérémie Battaglia, under the for of a documentary, which unveils the choreographer's and kid's journey, through the research they have done on birds up to the final presentation on stage. 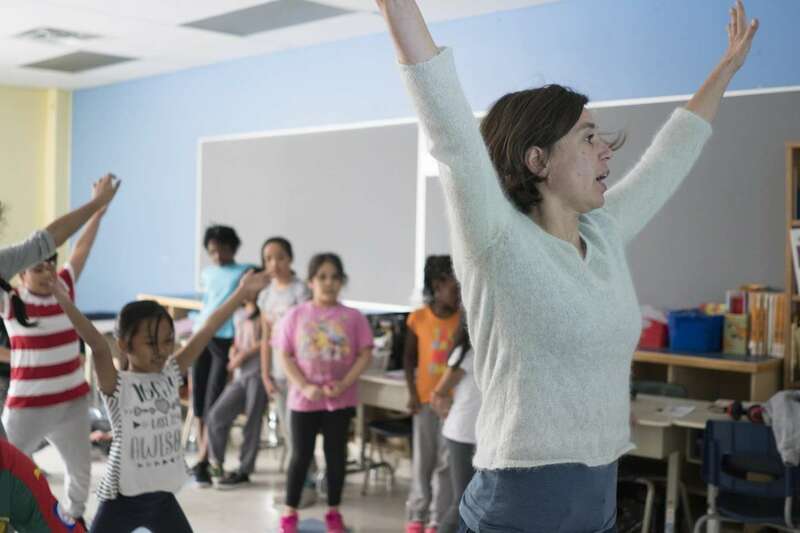 The desire to develop projects involving the young public has been growing in the choreographer's mind since 2015, while creating Stretchy, her first show intended for the young public. Many important encounters and new challenges presented themselves for CEC, and throughout the adventure, exchanges with children have always been very stimulating. The richness and relevance of the company's collaborations with the school community are undeniably confirmed by the unique experience of L'Arbre ensemble, choreographed by more than 100 youngsters in the Maisonneuve theatre hall on the occasion of the 2016 International Dance Day. Filmed and broadcasted by the Quebec Dance Group (RQD) on social networks, this video capsule garnered more than 468,000 views, 4,900 "likes" and was shared more than 7 600 times by the Internet users; an experience that became viral based on a real encounter. 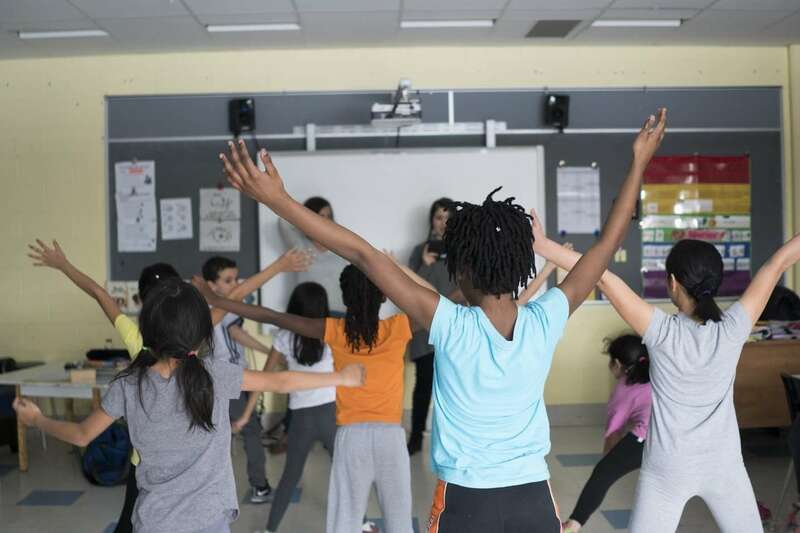 The project is supported by the Conseil des arts et des lettres du Québec and the Ministry of Education and Higher Education through the program Une école montréalaise pour tous, which aims at the academic success and perseverance of all Montreal students facing challenges related to deprivation. This wonderful initiative breathes new life into the original work and creates opportunities for young people from different schools to come together, introduce them to their local cultural theatre (Maison de la culture), and give them a dance and community experience, as a small full-fledged citizen of the greater city of Montreal. Merci à Julie Gauthier et Pascale René de Cotret de la maison de la culture Mercier, Julie Jacob de la maison de la culture Pointe-aux-Trembles et Mylène Robillard du Centre culturel de Notre-Dame-de-Grâce. « Ce projet bénéficie du soutien financier de l'Entente sur le développement culturel de Montréal intervenue entre la Ville de Montréal et le ministère de la Culture et des Communications ».